On this day in history, May 14, 1607, the Jamestown settlement is founded in Virginia. It would become the first successful English settlement in the Americas. The New World was discovered by Christopher Columbus in 1492 and this soon brought a host of French, Spanish, Portuguese, Dutch, Swedish, Danish and English explorers who searched for riches and traded with the natives. The first European settlement was founded at Santo Domingo by the Spanish in 1498, while the first settlement on the mainland occurred in Columbia in 1502. John Cabot, sent by Henry VII of England, was the first to reach the northern part of North America in 1497. The first attempt at a permanent settlement in North America took place by the Spanish at Pensacola in 1559. The first successful settlement in North America was Saint Augustine, Florida, in 1565, also by the Spanish. Queen Elizabeth I made the first attempt at a permanent English settlement in the New World at St. John's, Newfoundland in 1583. This venture ended when the leader of the expedition died. The following year, Elizabeth granted his half-brother, Sir Walter Raleigh, the chance to start a new settlement on Roanoke Island, North Carolina. The settlement began on July 4, 1584, but was plagued with food shortages and problems with Indians. A mission to resupply the colony in 1587 found it abandoned with no trace of the inhabitants, giving rise to the name "The Lost Colony of Roanoke." 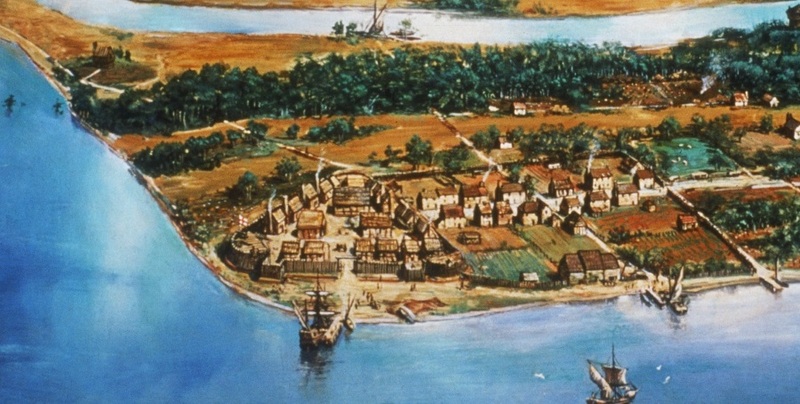 A major settlement was not tried again until 1606 when King James I gave a charter to the Virginia Company of London, a group of investors who supplied the funds for a new settlement in the Chesapeake Bay area, hoping to reap rich financial rewards from the local natural resources. The Company's first expedition landed at Cape Henry on April 26, 1607 with 144 men and boys aboard. They spent two weeks searching for a suitable spot on which to build their settlement and settled on a spot up the James River about 40 miles inland. The spot proved to be a malarial swamp and was uninhabited by local Indians because of its inferior agricultural qualities. The earliest settlers battled primarily with starvation. 2/3s of the settlers died in the first year before an expedition arrived with supplies and more settlers. The winter of 1609-10 was particularly hard and is called the "Starving Time." When another supply expedition arrived in May, 1610, only 60 people were left alive of the 500 who had landed thus far. In spite of those harsh first years, the colonists began to learn how to plant and harvest food in the New World and instituted private ownership of land, which greatly increased their productivity. In 1619, the first elected assembly to meet in North America met at Jamestown. In 1624, King James made Virginia a Royal colony and Jamestown served as its capital until 1699 when the capital was moved to Middle Plantation (now Williamsburg). After the removal of the capital, Jamestown began to deteriorate to the wild. Eventually the site's historical significance was realized and preservation efforts began. 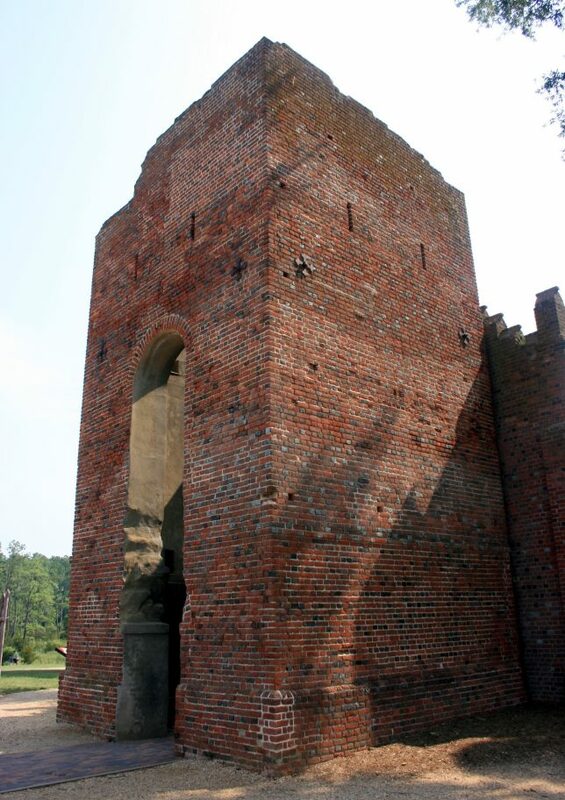 Today, the site of the original fort and the ruins of Jamestown's church, built in 1639, can be visited at the Jamestown National Historic Site, which is owned by Preservation Virginia and the US National Park Service. The site contains a museum where period displays can be observed, along with replicas of the original settlers' ships, a huge collection of artifacts dug up from the site and much more.